I uploaded what I hope will be the final version of the Null Pointer novel to Createspace this morning. Should know by this evening or tomorrow if it passes muster and I can go ahead and order a proof. Looking forward to holding this book in my hands. We went with a new format this time – 5 x 8 instead of 6 x 9. This will make the book smaller and more squat. 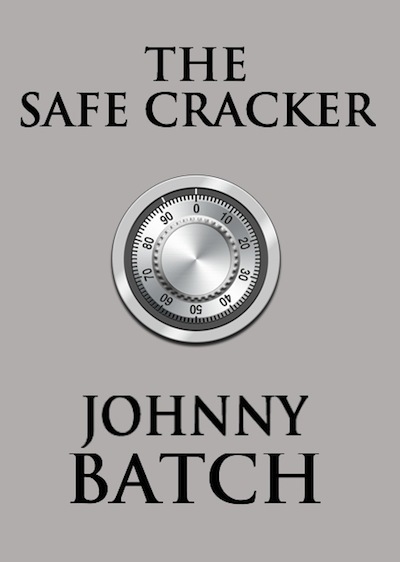 This week marks the debut of my first short story set in the Joshua Jones Mystery Series. Oddly enough, Joshua Jones is nowhere to be found. However, the detective from Null Pointer, Bill Plait is featured in this story. I wrote this story a few years ago and cleaned it up for sale with the release of the Null Pointer ebook. It is only available on the Kindle at this time. Questions and answers about the next Joshua Jones Mystery novel. 1. 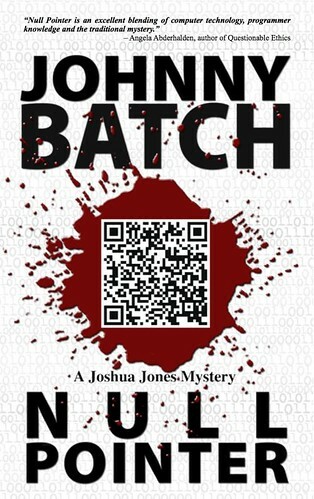 So now that Null Pointer is officially out, when will you start writing the next Joshua Jones Mystery? This summer. Yup, I’m working on the outline now and I will start writing in a few months. 2. How long will it take you to finish it? The first draft will probably take me about 4 to 6 months. Subsequent drafts as little as a month. 3. When can we expect it to be ready for sale? May of 2012. I know, a whole year from now. But you have to realize, this is not my full-time job. I have a 40 hour a week day job and a family. Writing is just my second job. I moonlight as a Mystery writer. 4. What is the name of the next Joshua Jones Novel? Kill Dash Nine. In keeping with the precedence set with Null Pointer, it is a programming term: kill -9 is a UNIX command for killing processes or running programs. 5. Will Dancia Rivers be in the next book? How about Detective Plait and Joshua’s other friends? Dancia, Trip, Steve and Plait are all in Kill Dash Nine. As for how long they are in the book, I can’t divulge. 6. What? Someone we know dies in Kill Dash Nine! I can’t say. I’m still working out the outline. No promises. 7. Will we get any more short stories set in this series? Yes. Well, at least I hope so. No promises. I have some ideas but nothing has demanded that I write it yet. 8. Are you going to be attending any conferences this year? Yes! I’ll be attending Mayhem in the Grove here in Boise, Idaho. You can catch me on a panel talking about ebooks. 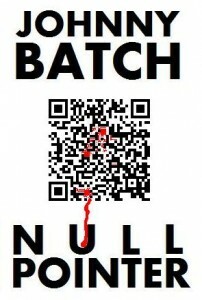 I should have print books of Null Pointer available for purchase. 9. How many Joshua Jones books can we eventually expect? I have plans for six books. They even all have titles. But I won’t divulge them this far out, as they could change. The series will progress and does contain an overall theme or story arch. It is all going someplace, trust me. 10. 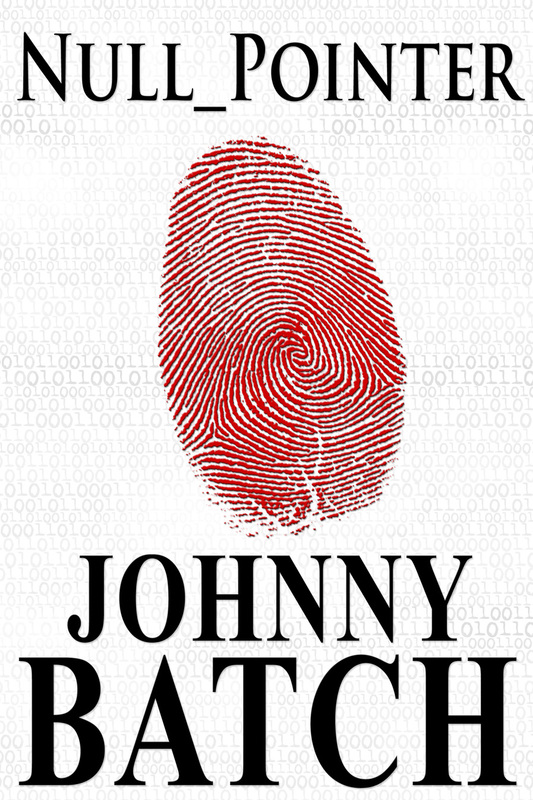 What inspired you to write about white collar crime, and in particular, cyber crime? I work in the software business. I deal with engineers, programmers and other technical types on a daily basis. Any one of them could kill me any number of ways. They are all evil. No! I’m kidding. I think what makes geeks so interesting as potential criminals is the fact that they are so normal under all the technical babble they use in their jobs. People are people. Most are good, but some are bad. My books explore different and unique ways that technically skilled people can be bad. I think that is more interesting than a gritty detective or a Lawyer or a Police Procedure or even a Doctor. I write what I know and what I find interesting. Behold, the final version of Null Pointer’s cover. Time for the latest version of the Null_Pointer cover art. This time we are focusing on the author font, size and placement. Things to work on next will be to shrink the finger print a bit and change the font of the title to match the author. We also need to add the “A Joshua Jones Mystery” above the title. What do you think? This is the first iteration of the Null_Pointer cover from my Graphic Designer – Byron McConell. It’s a great start and I’m soliciting comments from folks on how to make it better. So if you have any constructive ideas, please leave a comment. If you haven’t read or listened to Seth Harwood’s Jack Wakes Up, what the *uck are you waiting for? 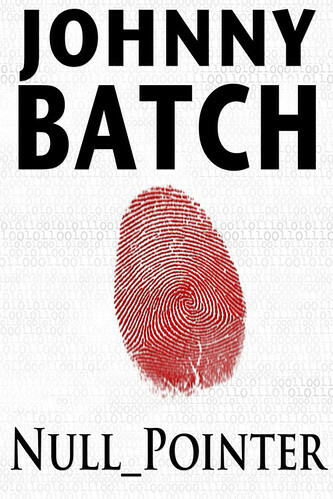 Seriously, this writer has set ablaze the crime novel in the last couple of years. Do yourself a favor, listen to Seth read his own story and then buy the book and show your support. 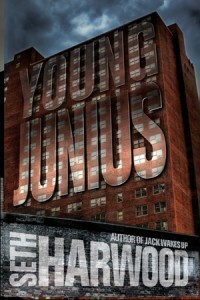 His latest Palms novel, Young Junius comes out this month – October 18th. If you hurry, you can read the first one, get hooked and then get in on the Young October release party for Young Junius. I pre-ordered my copy of Young Junius months ago, so you know I’m totally jacked to read it! Warning: if you don’t like swear words, stand clear. But let’s face it, WTF are you reading a crime novel for if you have sensitive ears?